Developing FileMaker Solutions for 19 Years. FileMaker Certified Developer is a FileMaker professional who has technical knowledge of the complete FileMaker product line and has passed the “Developer Essentials for FileMaker” certification exam, the only certification sponsored by FileMaker, Inc.
From the viewpoint of you, the customer, hiring a FileMaker certified developer gives you the security that you are dealing with an industry expert with an industry-recognized credential. At MacTutor we require that our development team be professional and certified in FileMaker’s latest version, which is FileMaker 16. 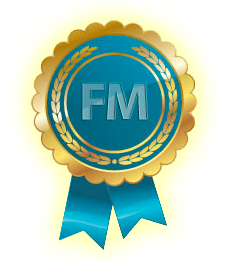 The second the certification exams become available, our developers are the first in line to take the certification exams, in fact we were among the first Worldwide to get Certified in FileMaker 16. Some of our clients demand that their development only be produced by a Certified Developer, and at MacTutor, we are sure to deliver that. Contact us now and explain what your needs are. We’ll conduct an initial interview, answer any questions, and immediately tell you how we can help you.